A second half flurry of chances wasn’t enough to get the winner for the holders of the IRN-BRU cup, with a late goal from Callum Smith, which meant Dunfermline progressed to the next round. For each team, it was a chance to give players lower down in the squad a chance to stake their claim for a place. Daniel Hoban and Daniel Mackay were the highlights of the 8 ICTFC changes, representing the youth core pushing for a spot. Ryan Fyffe and Roddy Kennedy were waiting on the bench as another youth option for the squad. The same could be seen for the visitors, Dunfermline, who fielded a completely different 11 from their recent loss against Ross County. Paul Allan, Brandon Luke, Matthew Todd, Lewis McCann and Stuart Morrison made their first ever starts for the team. The team had an average age of under 21. But from all of those fresh faces, it was a familiar one that broke the deadlock between the sides 30 minutes into the game. Pars player, Andy Ryan reveived the ball and tried to drive into space inside the box. He was fouled by Brad Mckay from what looked like from outside the box, but the referee deemed it marginally inside and gave a penalty. A booking followed and Kallum Higginbotham stepped up to smash a hard strike into the bottom left corner past Hoban. It took until early into the second half for the Caley Jags to get a foothold of the game. John Robertson shuffled his deck by taking off Daniel Mackay and Charlie Trafford for George Oakley and Tom Walsh around the 55 minute mark. As a result, the home side looked instantly more comfortable challenging for the game. Walsh fired in a wicked right footed cross that threatened the defence, only for it to be cleared for a corner. Riccardo Calder was having equal joy on the left hand side, setting up Aaron Doran with a header that drifted just wide of the goal post. Calder threatened again a minute later with a cross that landed in the six yard box, but this time the ball was directed home from Jordan White, clipping it with his heel into the far corner for his first competitive goal in Blue and Red. Spotting a weakness on the flanks, both Rooney and Calder continued to hit tantalising crosses into the box, White almost converting the latter’s again with a header that landed on top of the net. After a flurry of great crosses being cleared for corners, The Caley Jags seemed to have figured out a science to break the away team down. But it wasn’t to be. At the 87th minute, Andy Ryan again threatened the defence but this time with a driven pass across goal, with Callum Smith knocking in to give the away supporters something to celebrate at the end. A cruel ending to the game for the Caley Jags after the amount of chances they had in the second-half. ICTFC will look to bounce back and continue their good start to the league campaign when they face Alloa on Saturday August 25th. 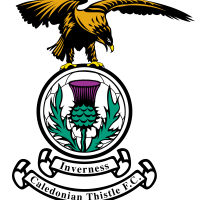 Inverness CT: Hoban, Rooney, McCart, Mckay, Calder, Welsh, Trafford (Walsh 54), Polworth, Doran, Mackay (Oakley 54), White.